the t shirt king. These aren't your daddy shirts. 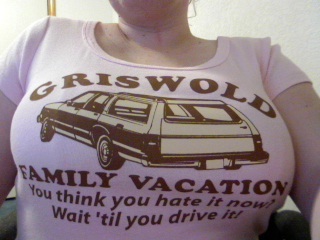 Roadkill T-Shirts : Griswold Family Vacation. 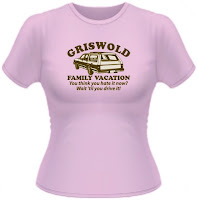 If you are around my age (27ish) You will remember the movie Griswold Family Vacation. It was a classic when i was a kid in the 90's. Every time it was on tv on our classic pull out tv i would stop everything just to watch that movie. I couldn't get enough of it. I was always like Awe (Sad Face) when they got to the amusement park and they were closed. I wanted to punch that moose right in this big nose. My mom had a car exactly like that one on my shirt. I loved that car because of the movie. I was seriously afraid to wash this T-shirt because of the LARGE sized graphics. I didn't want the washer to peel the print off of it. But i washed it while the spin cycle was on i was praying the whole time. But to my amazement the graphics came out perfect. Phew! 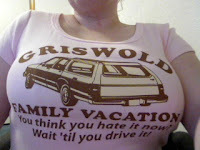 I'm seriously not the baby doll T-shirt kind of girl but i DO love pink. So i will take the bad with the good. Seeing this 90s style Funny T-shirt brings back wonderful Memories. 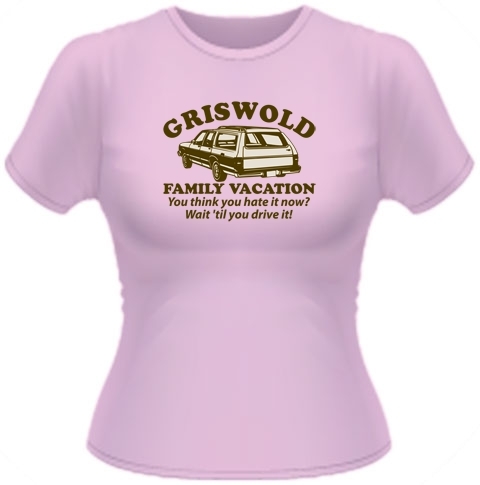 Go snag yourself a Funny Tee for yourself and someone you love at : road kill tshirts They have American Apparel T-shirts if side spliting funny t-shirts is not your thing. When you are done with that go and become a fan of road kill tshirts on facebook, They have free tshirt giveaways! Hurry! I receive no monetary compensation for this review. I was provided a t-shirt to try and give my honest opinion.